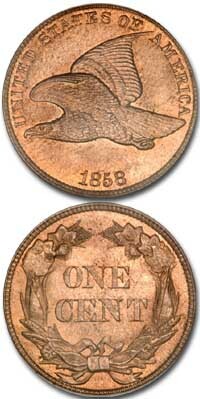 In 1856 the one cent coin was almost as large as a half dollar. Inflation had lessened the buying power of this coin and people had to carry many of these heavy pieces when they shopped. The time had come to create a lighter and smaller cent. 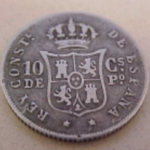 The Mint made a proposal in the form of an experimental or pattern cent having a flying eagle design. This pattern was distributed to Members of Congress and other influential people. 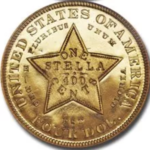 The new coin was well received, and full production began in 1857. The Flying Eagle cent design, although beautiful, was difficult to make and after two years of coinage in 1857 and 1858, a new design was sought. 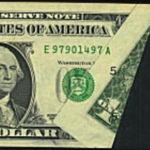 This short-lived series however, is very popular with collectors. It is estimated that approximately six hundred regular strikes of the 1856 cent were made along with about one thousand proof examples. Some of these coins may have been struck as late as 1860 for collectors. Because few were made, the proofs of 1857 and 58 are much rarer than the proof of 1856. The 1857 proof cent is the scarcest of all. Examples of the 1856 in circulated condition are worth about $4500. Circulated examples of the regular issues dated 1857 or 58 are valued from $15 to $20. 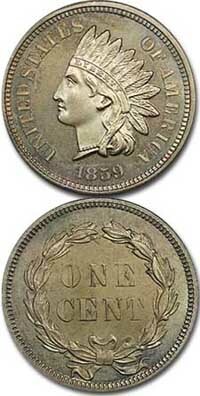 The new design for 1859, which featured an Indian Head on the dated side and a laurel wreath on the other was minted continuously through 1909. From 1859 through 1864 the coin was made with the same copper-nickel alloy used for the Flying Eagle cent. This metal alloy was very hard and was also difficult to mint. In 1864, a decision was made to manufacture the Indian cent in a bronze alloy. 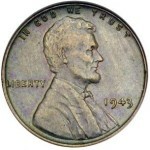 This became the standard metal for the one cent coin. 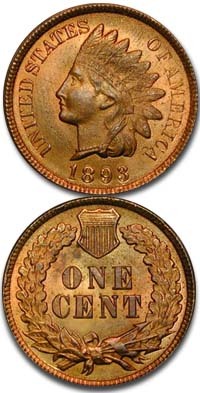 The Indian Head cent series contains several rarities. The 1877 is the rarest date in all states of condition followed by the 1909-S. An 1877 piece in average circulated condition is worth about $600 while the 1909-S is valued at $375. In uncirculated condition the 1877 ranges upward from $2700, while the 1909-S is worth around $600. 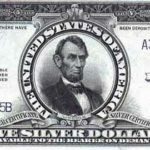 The dates from 1866 through 1872, and the 1908-S are worth from $30 in circulated grades to several hundred dollars or more in uncirculated condition. Even the common dates, while only worth around $1 when worn, will bring $20 or more if in new condition. When did they stop making gold sovereigns for circulation? 1967-68 50% and 80% Canadian silver coins: How do you tell them apart?